The financially crippled, Hanjin Shipping, has sold two container ships which are set to be stripped down for scrap. The vessels in question are the 5,302 TEU Post-Panamax boxship Hanjin Paris and the 4,024 TEU Panamax vessel Hanjin Los Angeles. 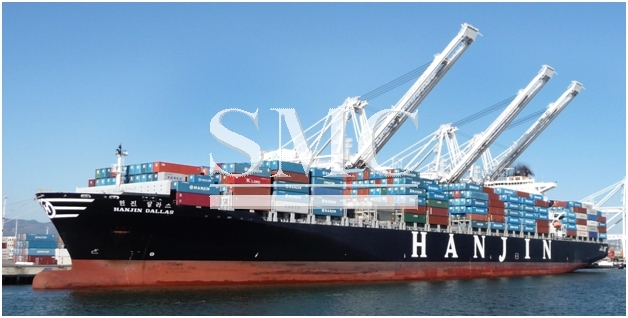 The 62,800 dwt (deadweight ton) Hanjin Los Angeles and the 67,300 dwt Hanjin Paris were sold for USD 294/LTD (light displacement) and USD 289/LDT, respectively. It is arguably the most brutal reality to date of the collapse of Hanjin, whereas most of their ships thus far have just been sold to industry competitors, the sale of two ships for scrap is perhaps a representation of the decline of Hanjin Shipping. Both ships were built by South Korean shipbuilder Hanjin Heavy Industries in 1997. Market value of the Hanjin Los Angeles stands at USD 5.86 million and of the Hanjin Paris at USD 7.98 million. The company succumbed to the prolonged depression in the shipping market and filed for court receivership in late August after its creditors, led by Korean Development Bank (KDB), said they would additional financial support to Hanjin starting from September 4, 2016. 2016 has been a devastating year for the shipping industry and Hanjin Shipping have felt the brunt of it more than anyone.